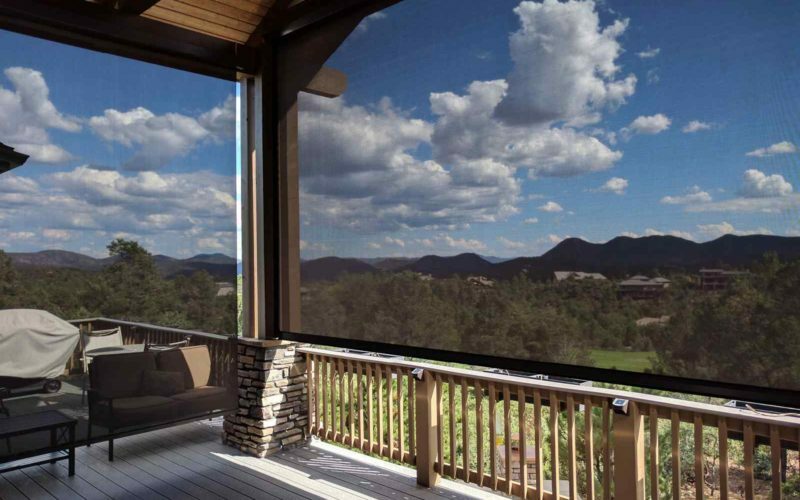 Screen innovation that will make a room out of your patio. Everything about our screens are made to last. 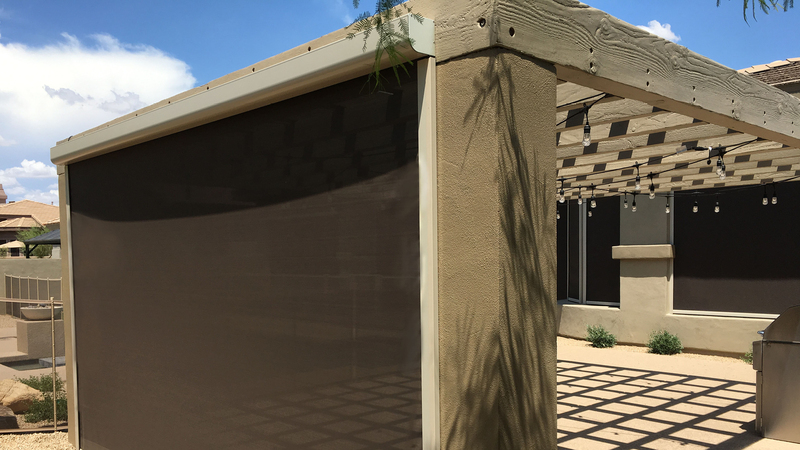 By utilizing a patented hurricane screen solution, Havana Shade offers one of the strongest screens on the Market. 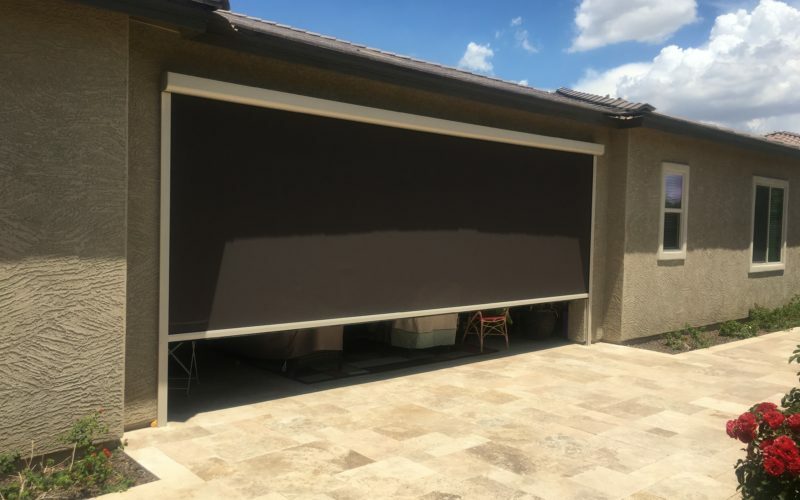 The Multipurpose, all-season, screen solution. 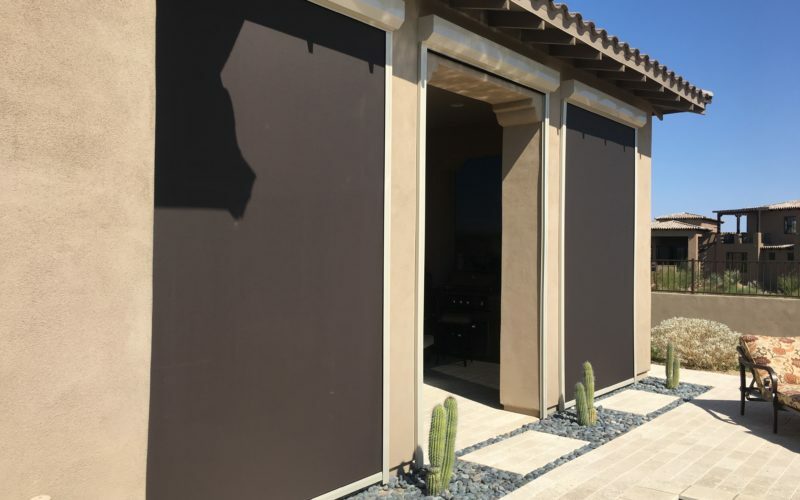 Havana Shade’s patio screens provide a year-round solution for outdoor comfort. 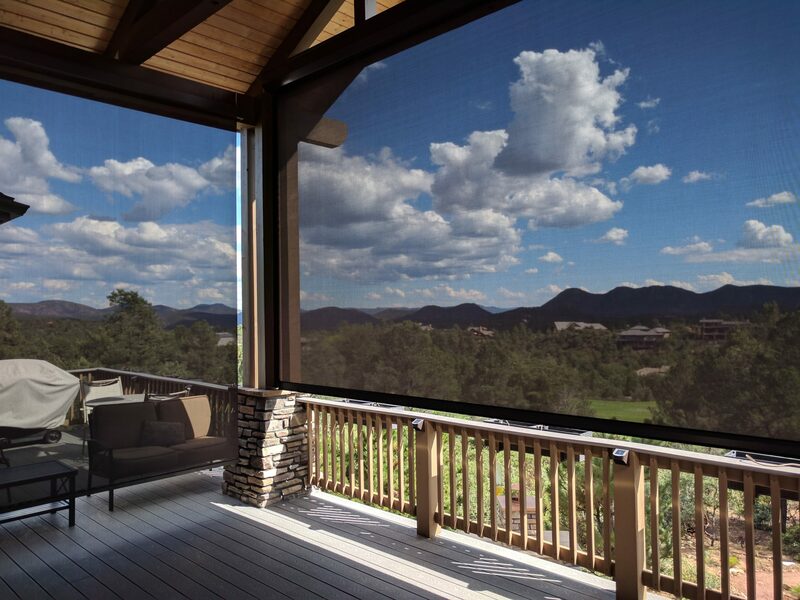 In the summer, our screens provide much more than just shade. They will help block dust, debris, and bugs. In the winter time, they will help insulate the patio, keeping it comfortable. The strength of TrakLoc is only possible by eliminating weak components that are common in lesser screens. That’s why all the functional components that make up a TrakLoc screen are 100% aluminium. The TrakLoc system is an effective barrier, made possible by the patented TrakLoc channels. The all-aluminum tracks run along the sides meaning your screen will be locked in top-to-bottom. 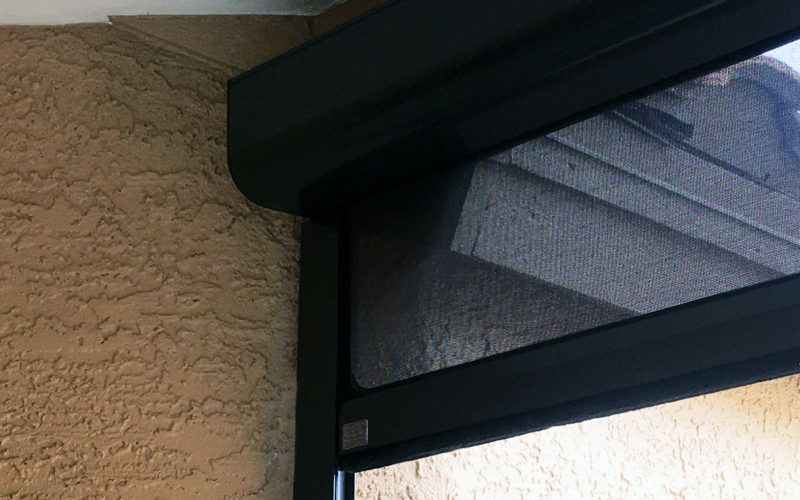 Adjusting the TrakLoc screen is so easy it can be done by the homeowner. By adjusting a few screws the screen remains smoothly sliding and secure in it’s track. The tension of the screen can also be tuned to ensure maximum effectiveness. 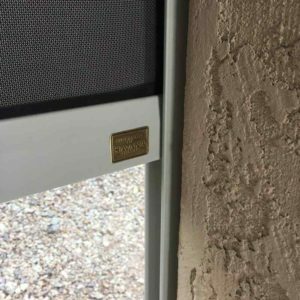 Havana Shade is proud to offer a lifetime warranty on all screen motors installed. We're extremely happy with our products, and we think you'll be too. 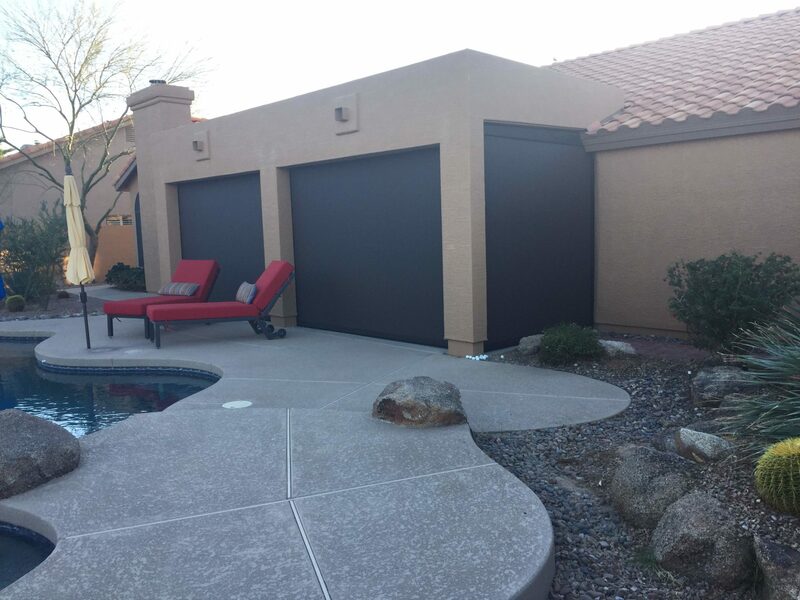 So if your screen motor has any functional issues after installation Havana Shade will be happy to help. All visible components come in a variety of colors, so you can match your surroundings perfectly. For a limited time you can upgrade any Havana Shade install. Use this special offer to get a FREE MOTOR. This offer applies to all patio screen installations. Limit one per client. Submit your information below and receive an email with your FREE Upgrade voucher. Show this to your Havana Shade representative upon your appoint. Subject to restriction, only valid in Havana Shade service areas. 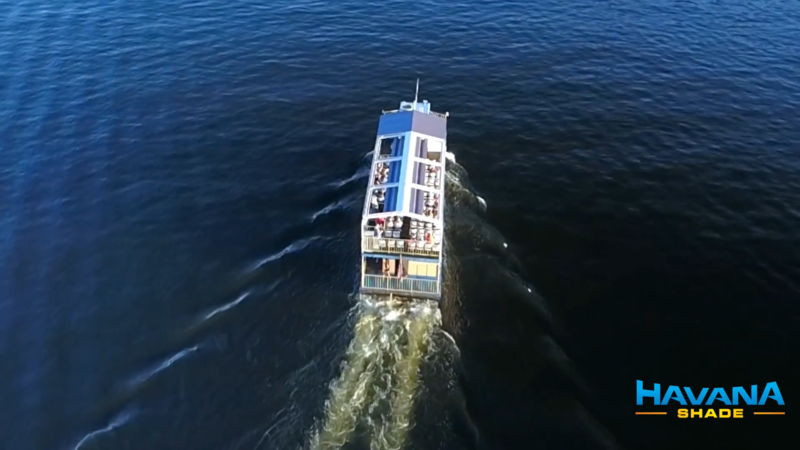 See our Motorized Screens in Action. "Our patio looks amazing and feels like we have an addition on our house!" 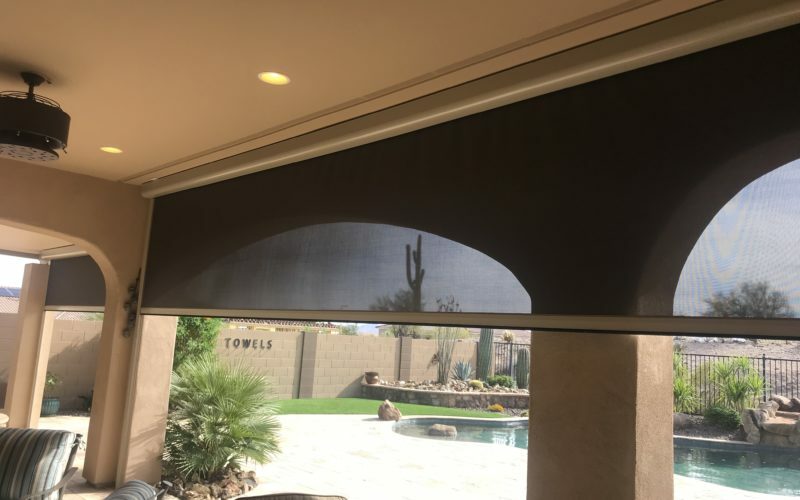 "We just had Havana shade install four different shades in our backyard and we absolutely love them!" Learn more about the company and their work. See our projects and events on facebook. 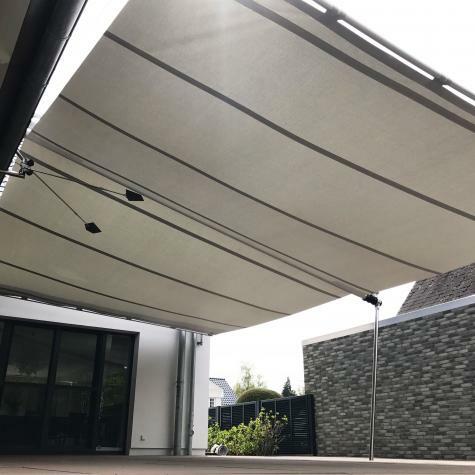 Havana Shade offers modern awning solutions for your home or business. 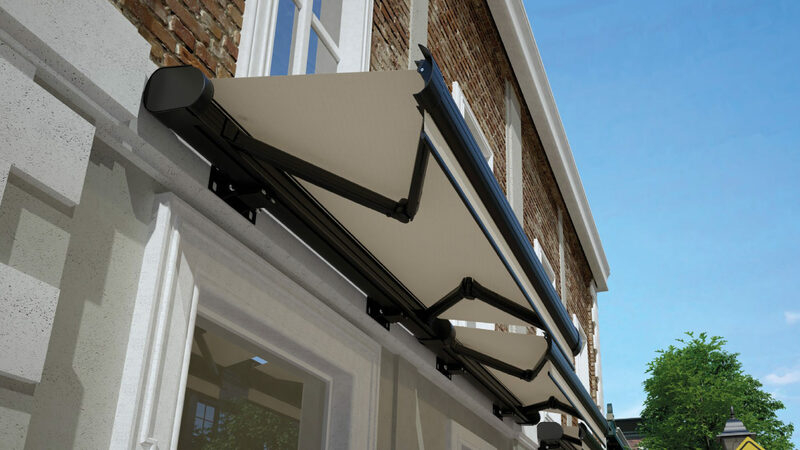 Havana Shade's retractable awning selection is the perfect solution for residential or commercial usage. 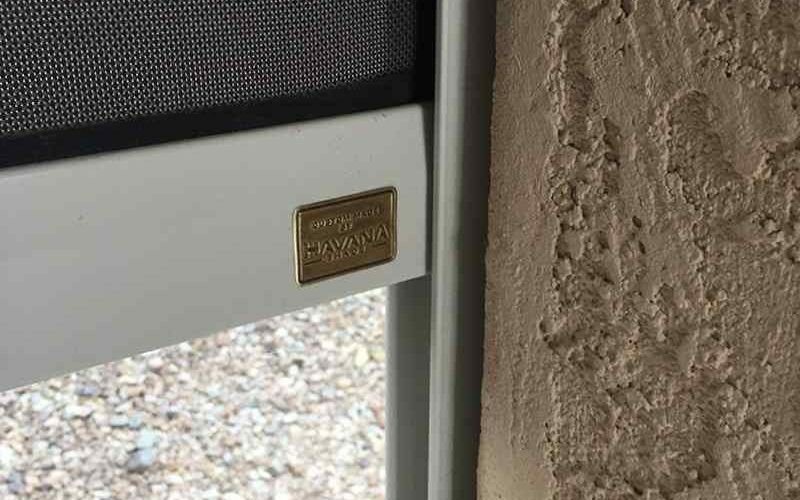 A Patio Screen Installed in Arizona means the owner now has a "Havana Room". 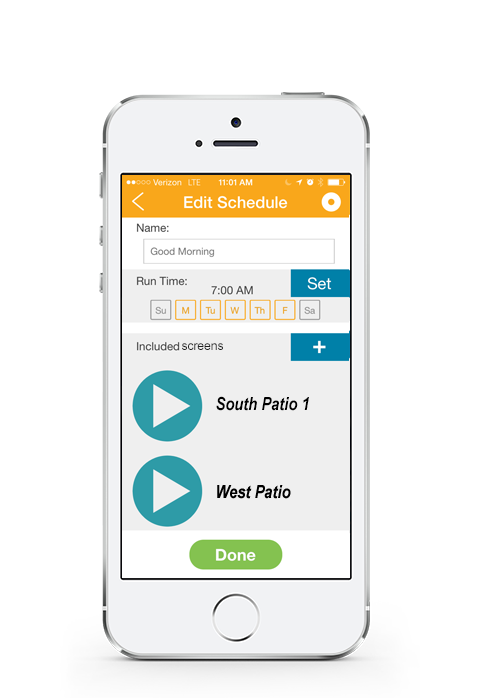 With the push of a button they can now expand the living area of their home. 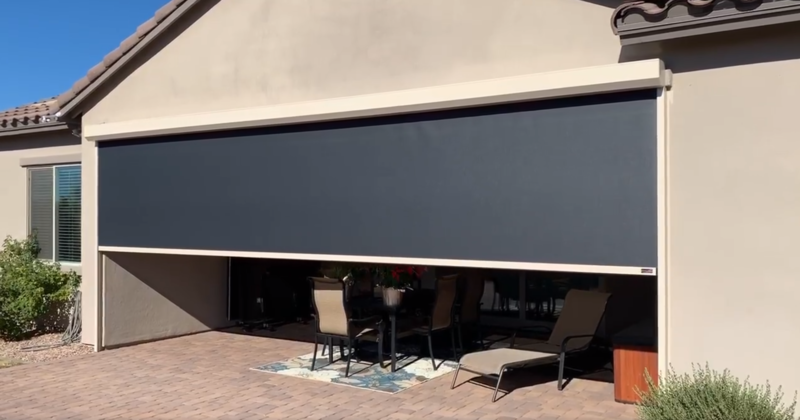 [Watch] This video of a tailor-made louvered roof, planned and installed by Havana Shade. 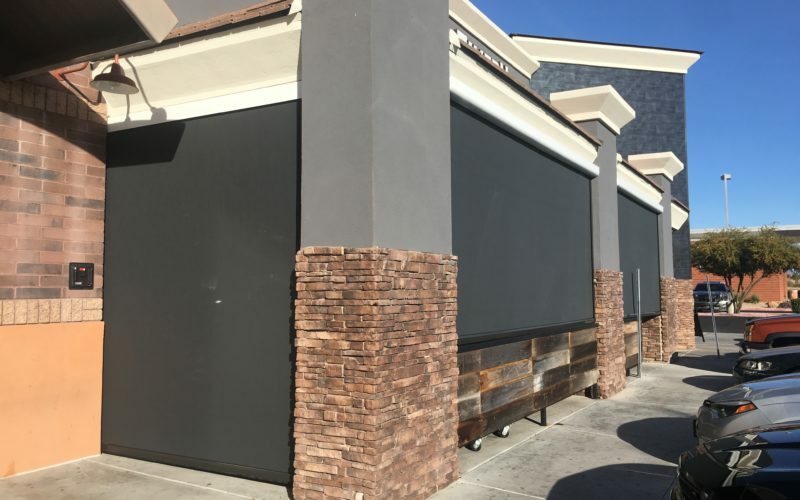 A TrakLoc patio screen from Havana Shade was used to create a safe and weather-proof enclosure. 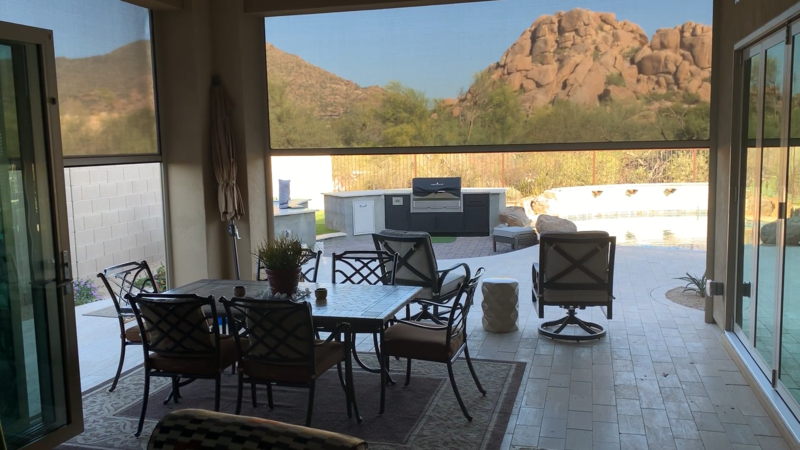 [WATCH] Two motorized screens installed to enclose patio space. Combined with the folding glass walls this client now has another room with the push of a button. 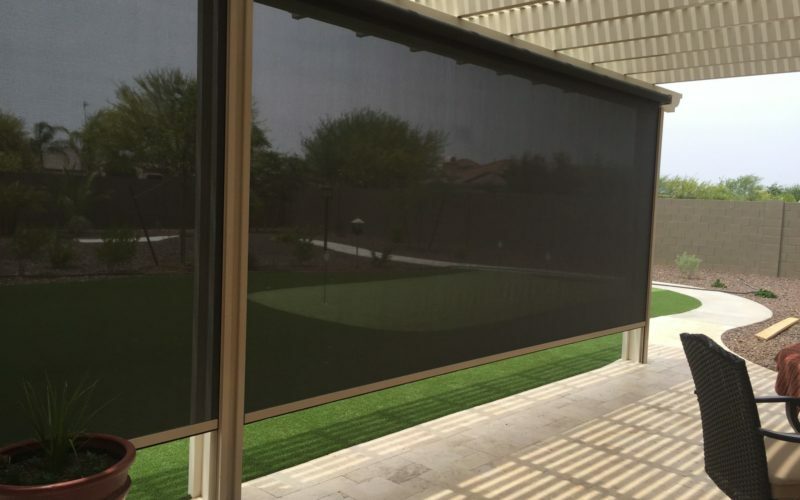 Multiple Havana Shade TrakLoc screens installed at a luxurious golf club in Arizona. Screen and trim colors where specifically chosen to compliment the unique colors provided by the building design and lush surroundings. 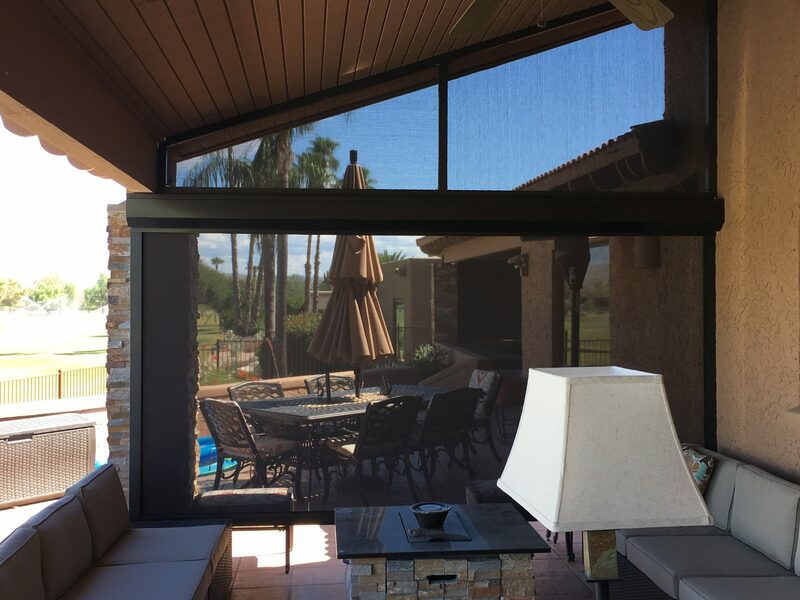 A set of custom-fitted, motorized window TrakLoc screens by Havana Shade. 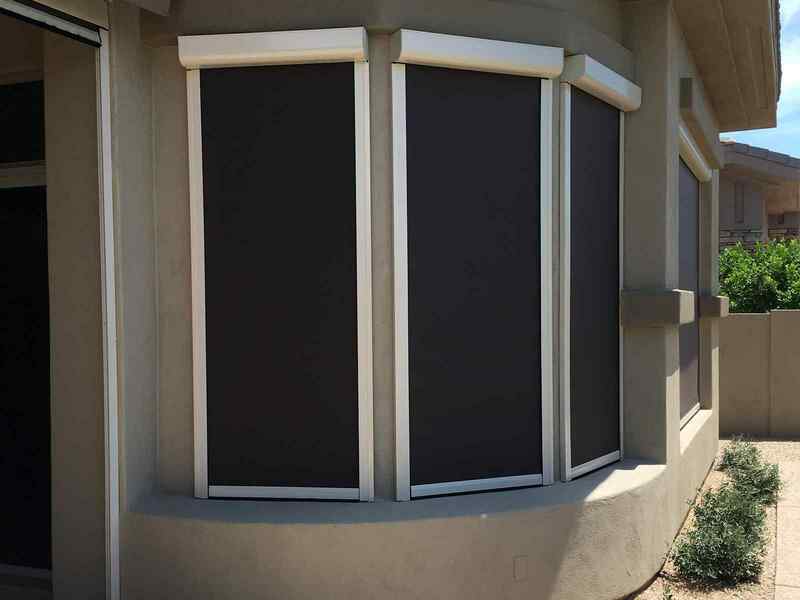 These Screens are are operated remotely and can be integrated with "smart home" solutions. 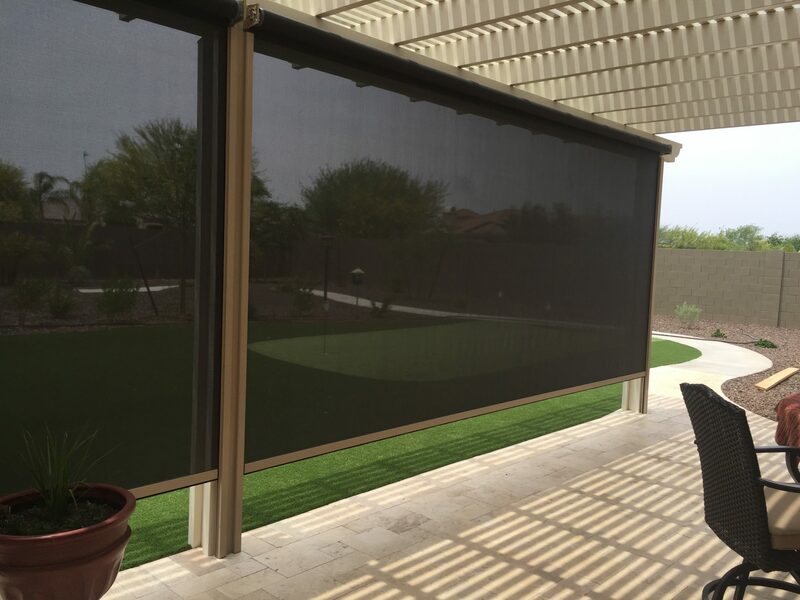 A beautiful backyard perfectly complimented by TrakLoc screens from Havana Shade. Note the inward-facing cassettes and the lack of visible motor. 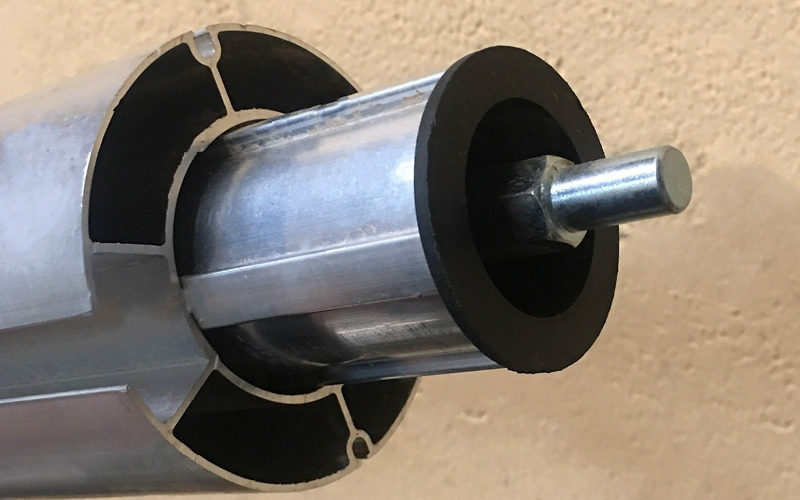 Havana Shade installs our motors on the inside of the roller tube. Block the sun, keep the view. 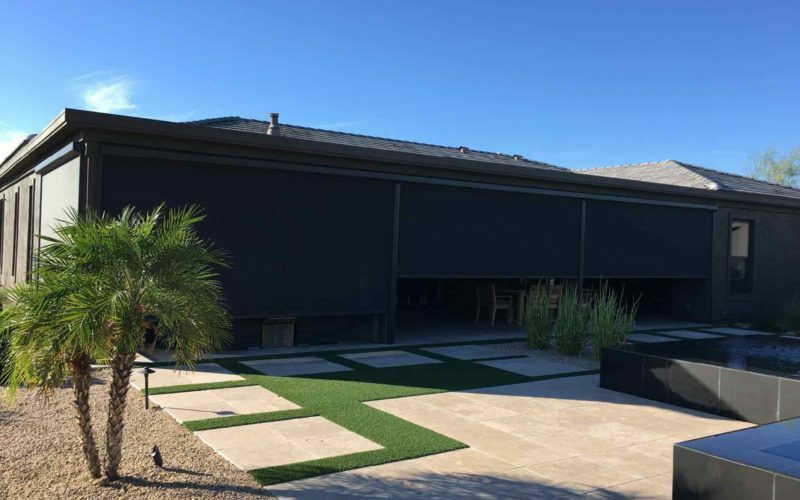 Havana Shade installs seamless cable screens up to 32' wide to cover large decks and patios. 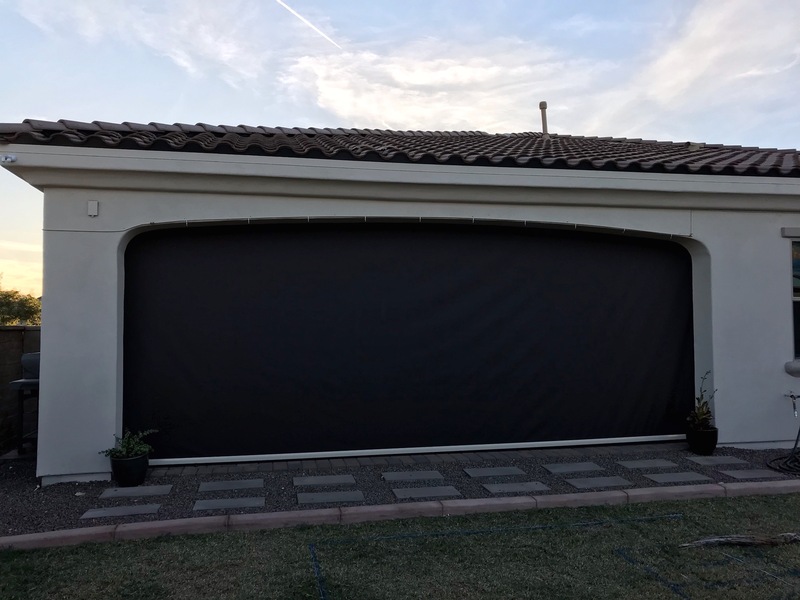 A custom measure and installed screen. Note the precise fit of the overhead screens beneath the slope of the roof. The bottom portion is a motorized TrakLoc screen. 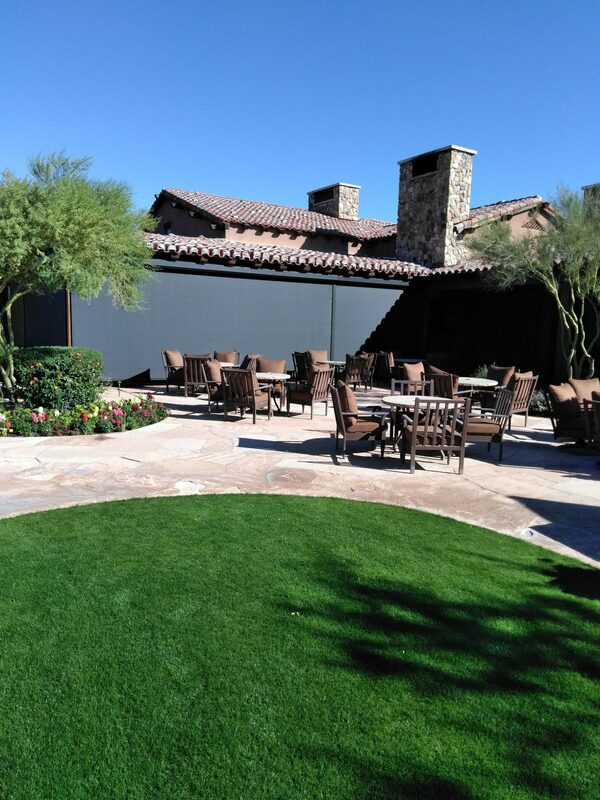 A freestanding shade structure in Scottsdale, AZ. Covering a Barbecue area and creating a new living area outside.